You’re interested in winter hammock camping. There’re many unknowns and risk associated with hammock camping in low temperatures. Lucky for you, I’ve made a complete guide to winter hammock camping. In this guide, you’ll find an answer to most of your questions, plus my personal recommendations for gearing up to take on the cold. So buckle up and get ready for value-packed post covering everything you’ve wanted to know. Can You Hammock Camp During The Winter? There are plenty of brave campers out there who love to venture out in the woods with their hammocks. Whether the temperature outside is 30F (0C) or -40F (-40C), you’ll find experienced hammock campers hanging around and having a good time. 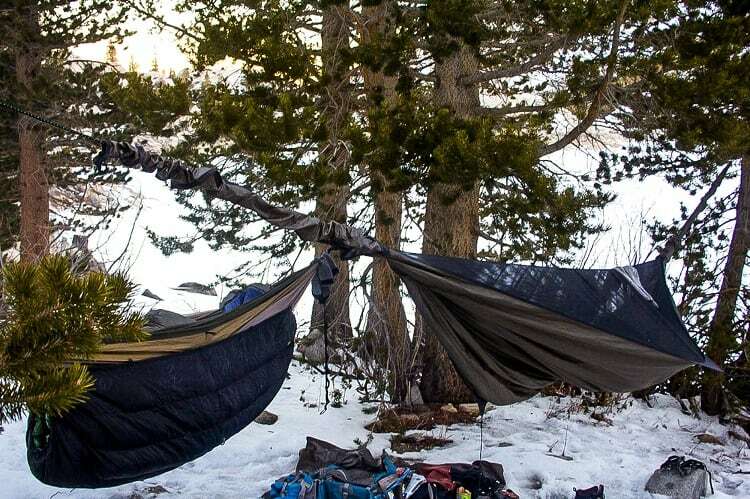 Should You Hammock Camp During The Winter? The answer depends on your hammocking experience level and the climate in the area you plan to camp. If you live in a climate that rarely dips to 0F (-17C) and only experiences snap freezes (like Alabama) rather than heavy snowfall, then you’re in a great place to hammock camp during the mild winter. However, if you live in a climate where the temperature regularly dips into the deep negatives during the winter, I’d be a bit more weary about hammock camping. If your area also gets much snow, slush, or experiences blizzards, I’d have to warn you to stay away from hammock camping in the winter. 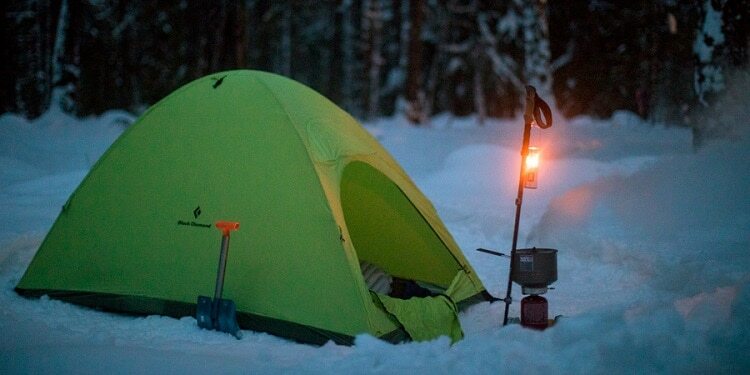 At least until you get more experience camping in milder winter conditions under your belt. If you want to go for an extreme, but safe, hammock camping experience in the negative temperatures, just do it in your backyard. This way you can easily bail and warm up inside in case things go wrong. Plus, it’ll be a lot easier to go hammock camping with your dog if you’re in the backyard. The most important step for hammock camping in the winter is preparing ahead of time. Without the right preparation, you could potentially end up with a disaster on your hands. A chilly behind would the least of your problems! So, how should one prepare for hammock camping in the winter? The first step is getting the right gear, followed by a practice run or two in your backyard. First, let’s look at the gear we’ll need. With the right hammock gear, your hammock camping trip will be significantly more comfortable. 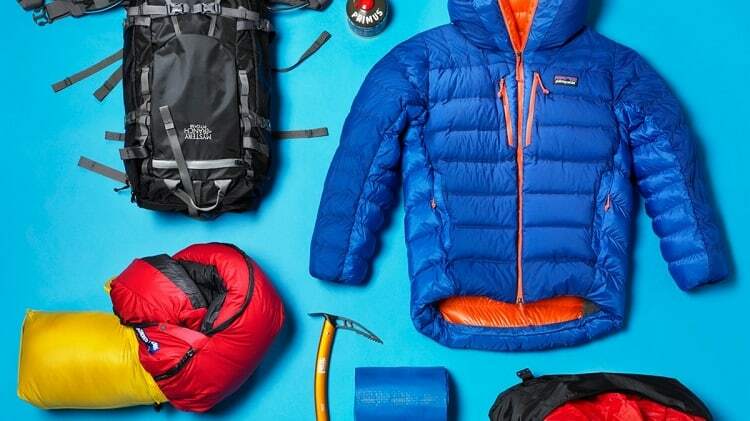 Let’s take a look at the standard gear lineup for winter hammock camping. When choosing winter gear, choose items that are rated for weather at least 20F (7C) colder than what you expect to hammock in. The reason for this is that gear rated, for example, 40F (4C) is meant for survival at that temperature, rather than comfort. When choosing a hammock for winter camping, there aren’t any clear rules you’ll want to follow when choosing one. Given most hammocks are made from parachute nylon, they provide little in ways of insulation by themselves. Some hammocks offer small pockets of insulation built-in, but for the most part you want to focus on comfort. If you already have a hammock you take camping, then use what already works for you. They both offer great comfort when properly hung and will work great for winter hammock camping. For those who need a winter hammock suggestion, I’d recommend one of Hennessy’s Expedition hammocks or ENO’s SingleNest hammocks. Sleeping pads need to do more than keep you comfortable when you’re in a hammock. One of the most important pieces of insulation you have when hammock camping during winter is your sleeping pad. Sleeping pads work great for insulating you from the cold. Air-filled sleeping pads are great for this since the air will insulate you from the wind-chilled exterior of your hammock. Air is a poor conductor, meaning it works great as an insulator for your whole body. For those who regularly hammock camp, you should already have a good air-filled sleeping pad you trust to keep you insulated. If you need a good air-filled sleeping pad, I recommend you check out one of my favorites here. Just as important as a hammock and sleeping pad, underquilts are one of the first lines of defense against the cold. Underquilts sit beneath the hammock and insulate you from the cold wind and weather. They’re like sleeping bags for the underside of your hammock. These are crucial as they block wind from blowing through the nylon of your hammock, saving you from the freezing wind chill. Underquilts are relatively universal, with the only real difference in sizes being single or double sized. 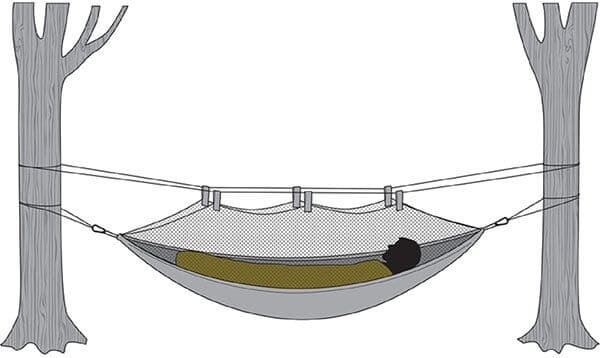 Regardless, if you’re buying an underquilt, be sure to check the underquilt has an equal or greater amount of surface area than your hammock. If you need a good underquilt for winter hammock, I recommend you check out this one for single hammocks. If you’ve never camped in cold weather before, you might miss this crucial piece of hammock gear. Like an underquilt, a top quilt is like a sleeping bag for the top of your hammock. This keeps wind off the top of your body while your laying in the hammock in addition to providing more warmth and insulation. Also, like underquilts, you don’t need to buy an top quilt that is the same brand as your hammock. Instead, look for winter rated top quilts that will fit over your sleeping bag. If you need a good winter top quilt for single hammocks, check out one of my favorite choices here. When it’s especially cold outside, precipitation adds another factor of deadliness to hammock camping. Instead of protecting yourself from rain, suddenly you need to protect yourself from freezing rain, snow, and (potentially) blizzard conditions. While you may get away with foregoing the rain fly on single outings when you know the weather, it’s better to be safe than sorry. Plus, you should already have a rain fly if you’re an experienced hammock camper. Whatever rain fly your normally hammock with should be sufficient for winter hammock camping. If you don’t already have a rain fly, I recommend this one for winter hammock camping. The exception to this is during blizzard conditions with heavy wind and snow. In these cases, you’ll want an exceptionally tough rain fly that sticks close to your hammock and covers as much area as possible. If you’re not careful with securing a large rain fly close over your hammock, there’s a few things that can happen. Firstly, the heavy wind can blow snow up into your hammock. This is bad since you’ll get wet the snow melts, causing you to get colder and colder as the night drags on. Additionally, your rain fly can also get blown away by heavy winds if it’s not secured good enough. Sometimes, heavy blizzard winds will rip away your rain fly even if it’s secured properly. Nobody said hammock camping in the winter was easy. Another crucial piece of gear you’ll want is a sleeping bag. Depending on how low the temperatures get, you can maybe get away with not bringing a sleeping bag above 30F (-1 C). Sometimes a sleeping pad, underquilt, overquilt and blankets are enough to stay cozy if there isn’t much wind. But for most trips, you’ll want a good “mummy style” sleeping bag you can sleep in. It adds another layer of insulation that transform your sleep from survivable to comfortable. Like sleeping in a tent with a sleeping bag, the sleeping pad, underquilt, overquilt and rain fly provide extra insulation and rain protection. The sleeping bag becomes the cherry on top that makes it an enjoyable experience. If you need a good sleeping bag for winter hammock camping, I have a few I can recommend. For sleeping in weather down to 20F (-7C), I recommend you this sleeping bag for mild to moderate winter conditions. For temperatures down to 0F (-18C) and below, you’ll want something like this Coleman “mummy style” sleeping bag for harsher winter conditions. You don’t want to go too crazy here, as your sleeping bag should handle most of the chill you experience inside the hammock. With plenty of insulation on the outside and inside of the hammock, a sleeping bag should be used for extra warmth. But sometimes you just need a little extra insulation to keep the chill out of your bones and stay extra cozy. In these cases, you have two choices for extra insulation. The first, my personal preference, is a fleece bag liner. 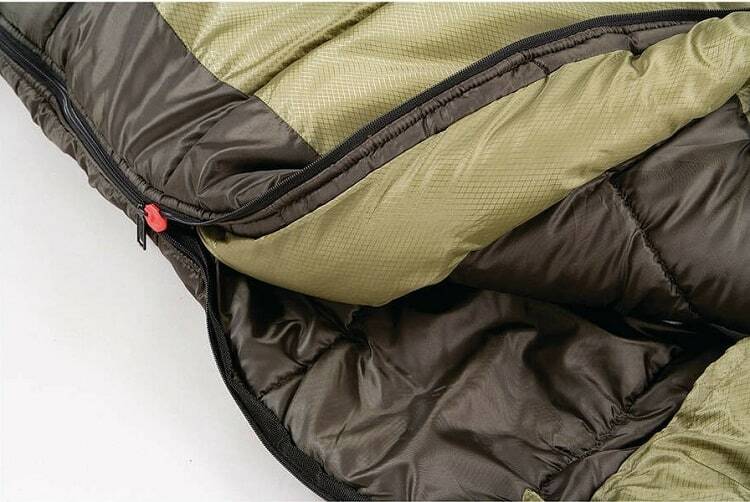 This is a liner for the outside of your sleeping bag that adds another bit of warmth. Being made from fleece, it’s great at keeping you warm, cozy and dry while still being breathable and comfortable. If you want a more all-purpose solution you can go with a wool blanket to cocoon yourself in. Just be sure not to go overboard by getting more than one blanket, as too many blanket inside can cause “compression”. This is when you have too much stuff inside the hammock, causing your insulation to compress thereby reducing its effectiveness. The final step you can take to stay warm when winter hammock camping is the wear warm winter clothes. Warm sleeping gear can make a world of difference in keeping the winter chill away. A good wool cap will keep your noggin warm, while a pair of thick wool socks will keep your toes and feet toasty. For additional warmth, you can also wear a pair of long johns and a thick henley. Now that we’ve covered all the gear you might want for staying warm while hammocking in the winter, let’s move on to situational aspects of winter hammock camping. 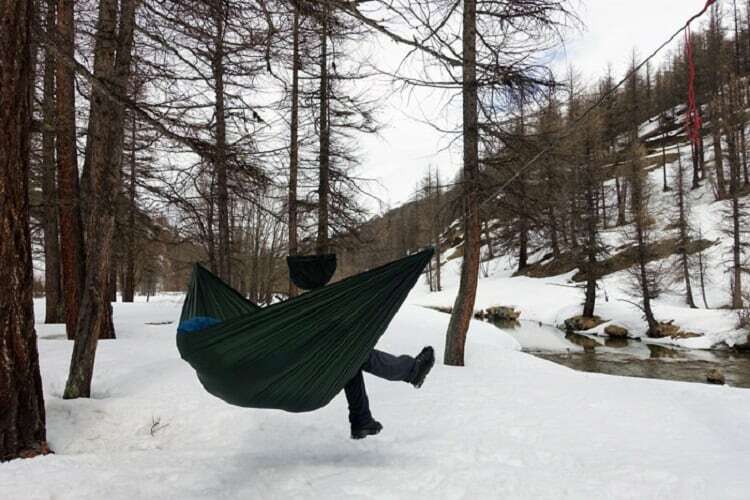 No matter how good you gear up, there are some factors that can seriously affect how well your cold weather hammocking goes. Some additional factors that can drastically affect your experience include weather, location, and common mistakes to avoid. In normal winter climate conditions, you shouldn’t have to worry too much about the weather given you’ve prepared well ahead of time by choosing the right gear. But you’ll want to watch out for pitfalls that can turn a normal winter camping trip into a potential survival scenario. One of the most obvious scenarios is a blizzard. If you go out expecting a normal winter hammock trip and end up stuck in a blizzard, you can quickly end up in a life or death situation. Icy winds, rain, and thick snowfall can wreak havoc on a body hung in a hammock. The best way to deal with a blizzard is not getting stuck in one in the first place. I urge you to closely monitor the weather and pay attention to any weather alerts given about the days you plan to hammock camp. If there is a chance of a blizzard, I’d personally call the trip off to be safe. Another weather-related scenario you want to be aware of is avalanches. 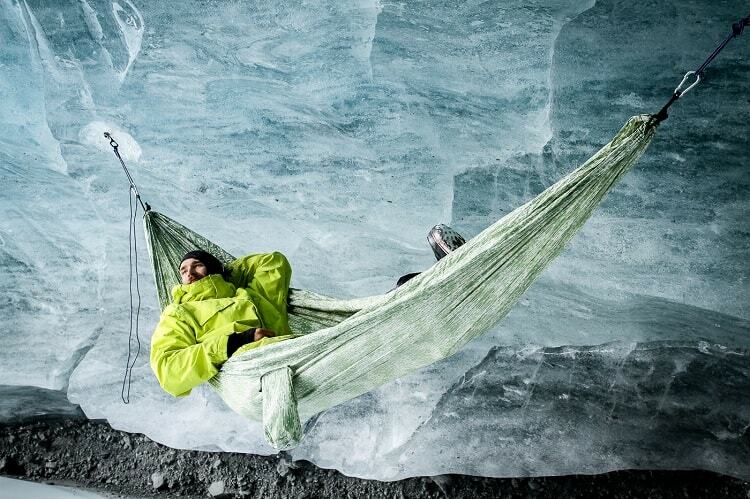 If you’re hanging in a hammock and an avalanche occurs, you are in a very, very bad situation. Not only are you going to end up buried underneath thousands of pounds of snow, likely with broken bones, you will also be wrapped up inside of your hammock. Needless to say, this scenario can get messy fast. Not only will being caught up in your hammock complicate surviving beneath the snow, it will also complicate rescue attempts when rescue crews arrive at the scene. My best advice for avoiding avalanches would be to avoid camping on mountainsides where several inches of fresh powder has occurred. Check with local rangers and outdoors enthusiasts to ensure the location you plan to camp in is safe. Location can make or break your trip. A few aspects of location are obvious, like avoiding flash flood zones, avoiding large open areas that are exposed to wind, and staying away from obviously dangerous terrain. But there are a few traps that may seem innocuous, but make sense when thought through. Basins are a trap for freezing during the middle of the night. 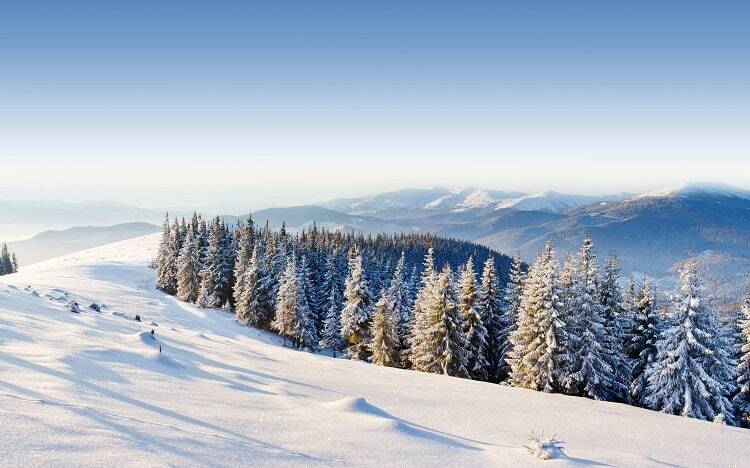 Since basins are lower in altitude than surrounding terrain, they tend to collect colder air as it sinks. 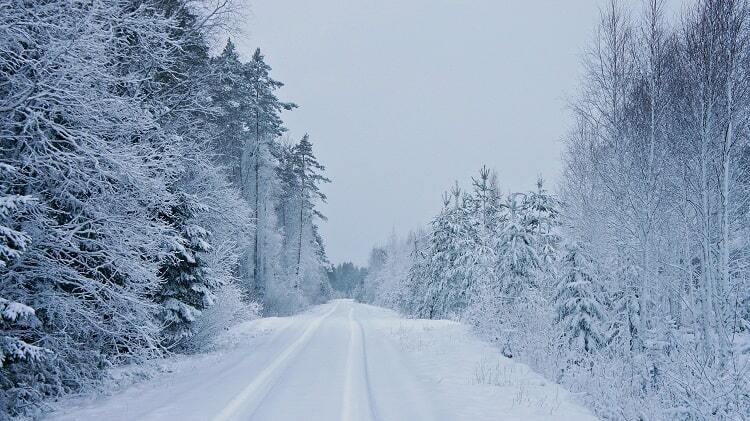 This leads to a collection of freezing air that can drop several degrees below the surrounding area. 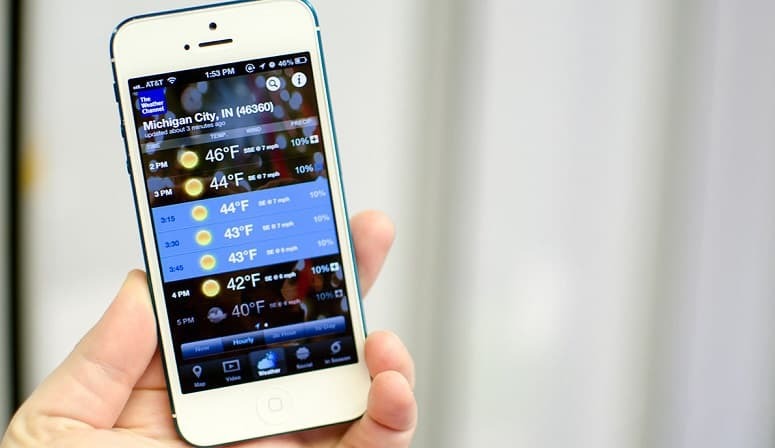 If you’re not prepared for extreme temperatures, you can quickly end up in trouble during the night. Cliff faces and cliff sides are both wind traps. For cliff faces, wind rushes over the face of the cliff and can chill you to the bone, even if you have excellent wind protection. The same goes for cliff sides facing the wind. Air can rapidly move toward the cliff face and get you double when it creates a mini current of circulating cold air. In essence, turning the cliff side into a refrigerator with you hanging in the middle of it. 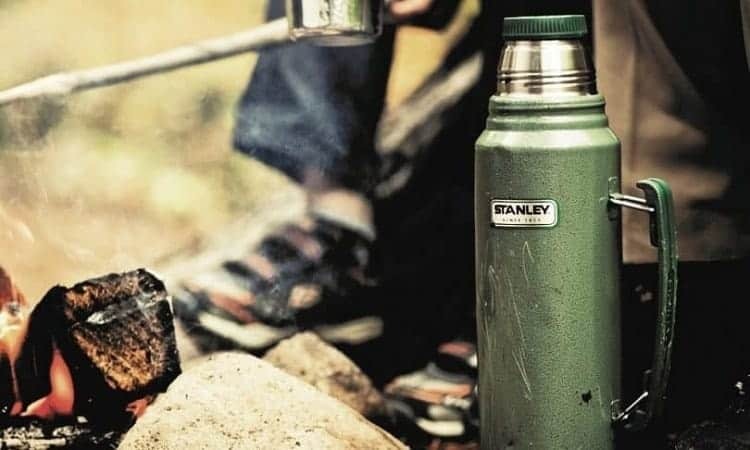 One common trick I see people recommend for staying warm while hammocking in the winter is to get a thermos and fill it with boiling hot water. People then recommend cuddling this thermos while you’re sleeping, resulting in a nice bundle of heat you can enjoy all night long. While in concept it seems like a great idea, there is one way it can go seriously wrong. I’ve heard a story of a guy who once tried this trick but ended up having his thermos leak on him during the middle of the night. By the time he woke up, he was already completely soaked through his clothes. He was on the verge of hypothermia, as he was rapidly losing body heat through his wet clothes. Luckily, he had friends with him who peeled his wet clothes off him, started an emergency fire and got him dry clothes ASAP. Had he not been camping with friends, he said he would have surely been dead. So, try this trick at your own risk! I know many people recommend this, but fail to recognize the dangers when it goes wrong. What seems like an easy way to stay warm can cost your life. Instead of using a thermos full of boiling water, use a couple of strategically placed hand warmers in your clothes instead. They’ll last all night long and don’t have the danger of causing fast-acting hypothermia from wet clothes. My final piece of advice to you is don’t be afraid of calling off your hammock camping trip. Even the most experienced hammock campers know their limits. If you lack experience hammock camping in the winter and the weather looks rough, it’s better to postpone your trip until a later date. It’s not worth risking life and limb for one camping trip! If you’re dead set on camping in tough conditions, consider taking a tent instead. 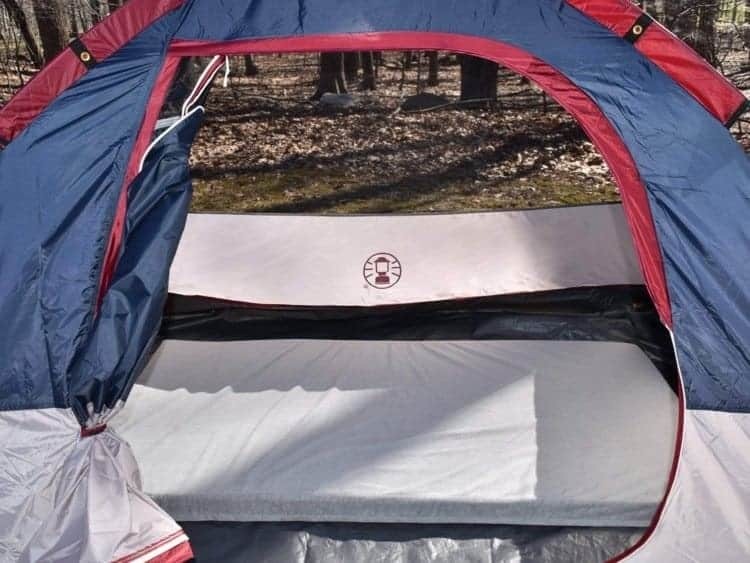 Camping tent in a combination with comfortable mattress is great reserve solution for winter camping. There have been many times when people who were hammock camping in harsh winter weather bailed to join their friends in a tent. Hammocks can work for the cold, but tents are more reliable in cold winter weather. Don’t let your ego get in the way of your safety and enjoyment of the outdoors. Hammocking is just one way to go camping. It’s more important that you get the opportunity to enjoy the outdoors! Whenever you are preparing to go on any camping trip, you should let others know of your plans ahead of time. Regardless of whether you’re camping alone or hammock camping with another person, leaving a trip itinerary with a loved one will aid rescue teams in case they need to find you. Write out a detailed explanation of where you’re going, how long you’re staying, and when you’ll be back. In case anything goes wrong, rescue teams will have a significantly higher chance of finding you. You should never skip this step, especially for winter hammock camping trips since they’re especially hazardous. Something as simple as making a trip itinerary and leaving it with someone you know could end up saving your life!